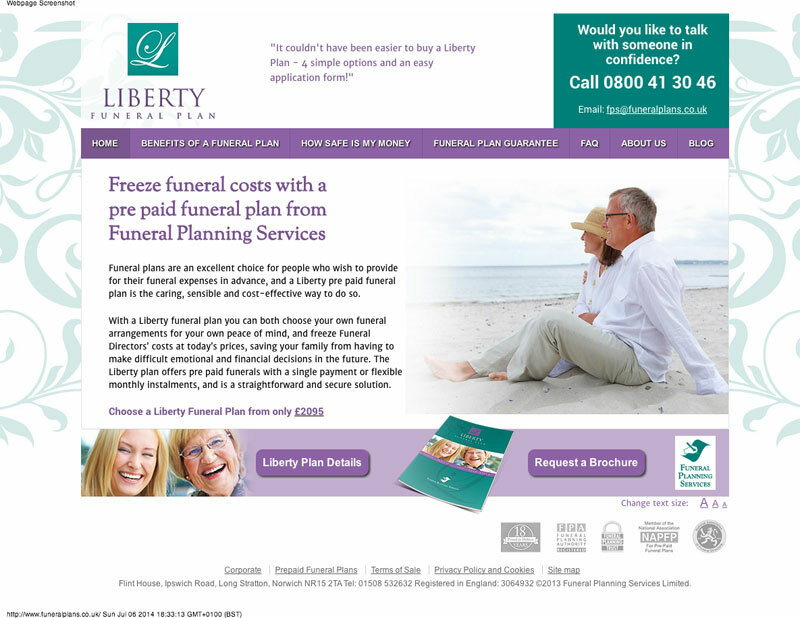 Funeral Planning Services is a provider of the Liberty Funeral Plan. 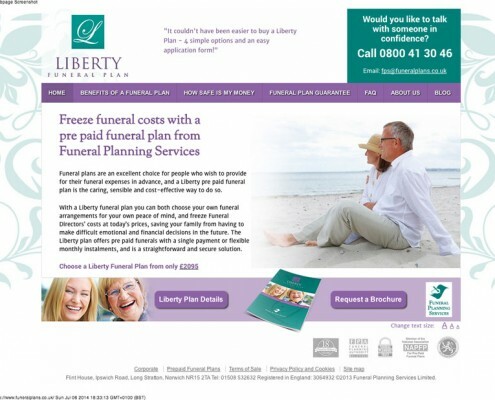 Funeral Planning Services wanted a website they could use to promote the Liberty Funeral Plan. 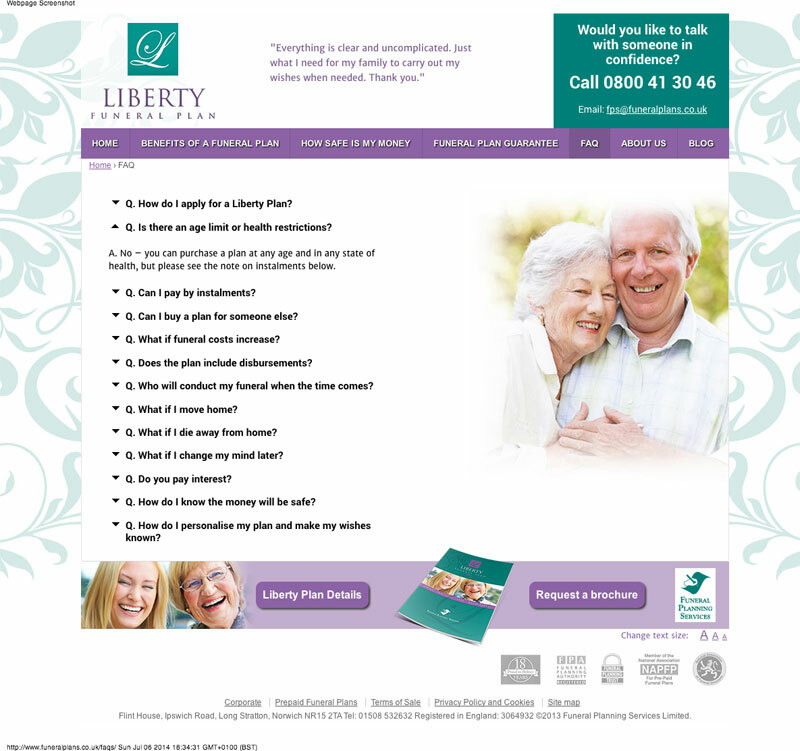 The website had to easy to update, responsive and styled in a specific way to appeal to their main target audience. 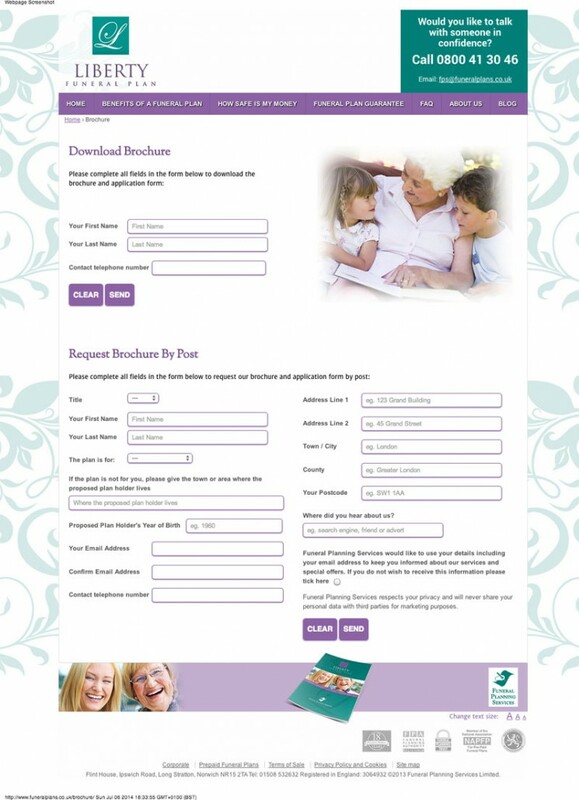 A custom approach to collecting customer data in return for a brochure by download or mail. 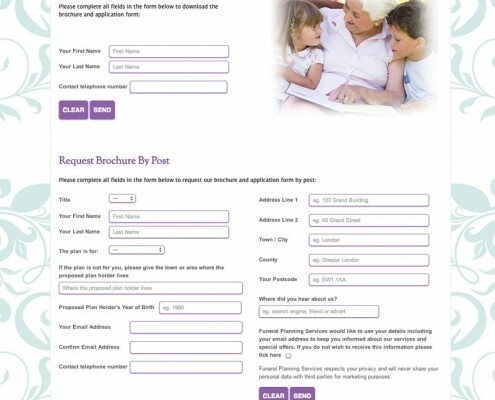 We opted to use WordPress as a Content Management System that the client would find easy to update themselves. 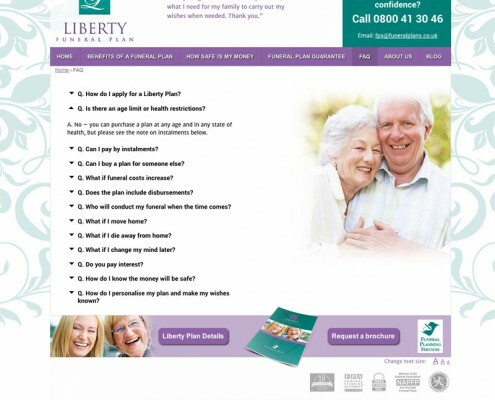 A custom theme was developed to match the designs approved by the client, starting with different responsive versions depending on screen size. 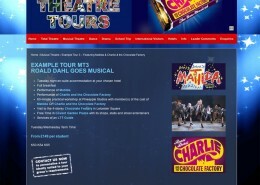 Some existing wordpress plugins were customised and combined to give the client the ability to track who was requesting the brochure.